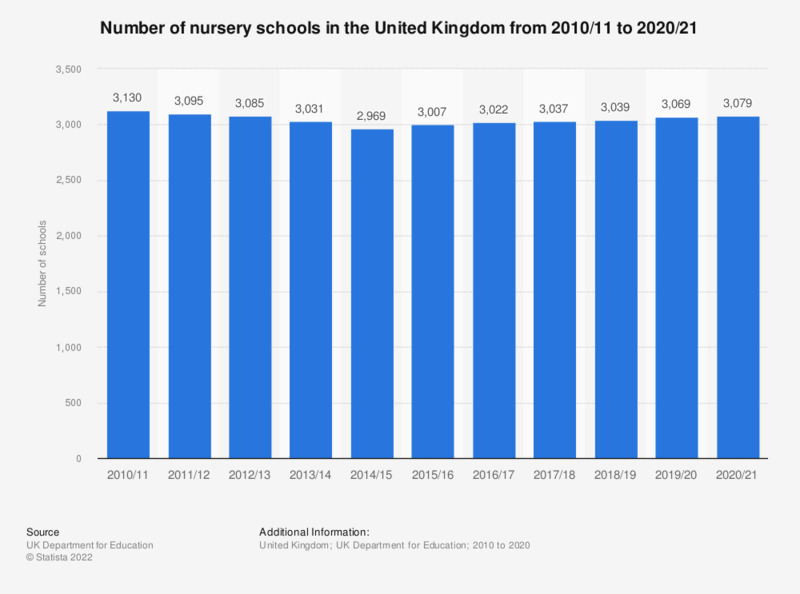 This statistic shows the number of nursery schools in the United Kingdom (UK) in the academic year 2000/01, and then from academic year 2010/11 to 2017/18. The number of nursery schools in the United Kingdom continuously decreased over the period until 2015/16, and increased slightly in the following years. * Academic years 2000/01, and 2010/11 to 2017/18. Everything On "Schools and education in England and the UK" in One Document: Edited and Divided into Handy Chapters. Including Detailed References.